You're looking at the information for NSScotland 2013. 2016 is happening! 18th + 19/20th October, 2013 @ Edinburgh. Made in Scotland from Girders. This second year of Scotland's first conference for Mac and iOS developers is loaded with content for both beginners and more experienced programmers. In addition to our popular single-track two day weekend conference, we are offering a choice of two full day tutorials for just an extra £50. Choose either a full days intro course from Pragmatic Studio instructor and author Daniel Steinberg, or a bootcamp tutorial for experienced iOS developers taught by consultant Lori Olson in building a custom server side for your apps with Ruby and Rails. Organised by Alan Francis & Paul Wilson. Photo Credit: Phill McIntosh / Site: Gavin Montague. In 20 years, Alan’s done a lot of different things in Software. He’s built control systems for dams in FORTRAN, the original DVD authoring tools on Windows in C++, Financial Systems on Solaris in Java, System Monitoring software on Linux in Ruby, and these days merchant tools for iOS in Objective C. In between he’s been an Agile process consultant for ObjectMentor and ThoughtWorks, and co-organises the Scottish Ruby Conference. 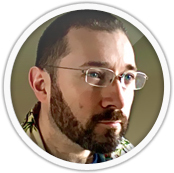 Paul is a coach and coder with over ten years of experience of Agile/XP. 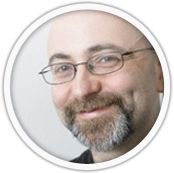 He is an active member of the Ruby and Agile communities, and co-organiser of the Scottish Ruby Conference. He has spoken at many conferences and events; these include RubyConf, The Naked Agilist, and guest lectures at Glasgow Caledonian and Edinburgh Napier Universities.